This is where I am probably going to detach myself from any hopes of being a major player in the 'self improvement' world, but I have got to say what's bugging me. A lot of self improvement gurus are too expensive and, in my opinion, are taking advantage of desperate individuals rather than helping them. For a start in their defence some of these guru's have bought out some majorly interesting thought provoking, very useful books and ideas. Unfortunately they then go on to release book after book of these same concepts rejigged. The second edition the updated version etc etc. This ensures that they keep the luxury lifestyle they have become accustom to and themselves popular with their public. Their marketing departments go into overdrive at the release of any weak attempt the author has made to put words to paper. I should know, because I have bought most of these books in the past. It's embarrassing to me that the important arena of self improvement can be devalued and seen just as a license to print money to some. This week I received any email about Anthony Robbins appearing in London "his only appearance in Europe this Year!!" 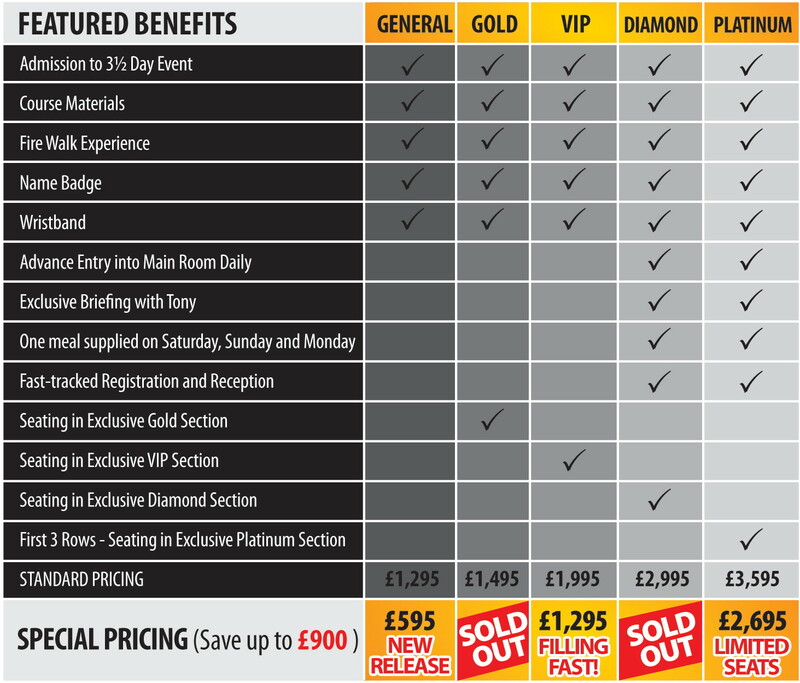 A 3 1/2 day seminar from £595 up to £ 2695 IF YOU BOOK NOW! 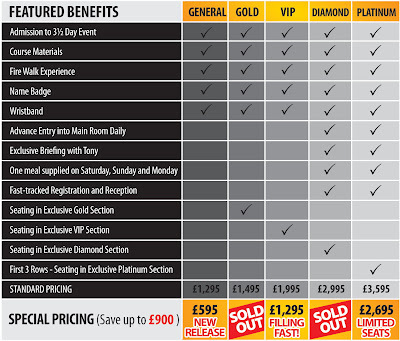 after the 30th April the prices go up. If you have this amount of spare cash I doubt very much if you even need this seminar, and if you don't, please don't go into debt to attend this, as any of his books would be just as good. Now I am not putting Anthony Robbins down, he is a great motivational speaker but I AM going to say £2695 for a seminar is ridiculous and a bit arrogant. Obviously he will probably fill the stadium and everyone will have a great time but really, is any human being worth that much? Why would you spend that amount of money to be told what you already know deep down inside of you? How many times can anyone tell you that you are good enough, you can have anything you want, before you will believe them? The self improvement arena is often even more embarrassingly fake. For example Hay House talk about love, loving and how we are all safe, at the same time as trademarking as many silly phrases as they can. Wisdom community tm, I can do it! tm, unlimited power tm, feel the fear tm. So in the midst of this safe and enlightened world we self improvement people are creating, why would we feel the need to be so scared of copycats that we would protect our tiniest concepts from being stolen? Practise what you preach people and try to be a bit more authentic Pleeeease!